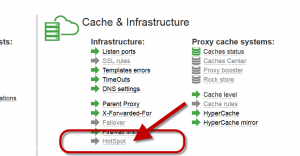 Home » HotSpot » How to use/enable the HotSpot feature ? How to use/enable the HotSpot feature ? 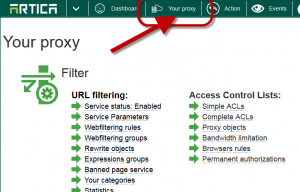 The HotSpot feature cannot be used with the standard proxy feature because it will lock all ports for unregistered users. 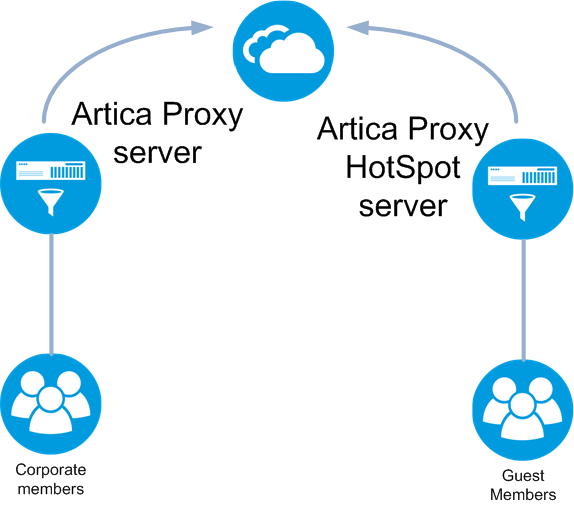 An Artica license allows you to use 2 servers so you can use a Standard Artica server for your employees and an Artica HotSpot for your guest users. 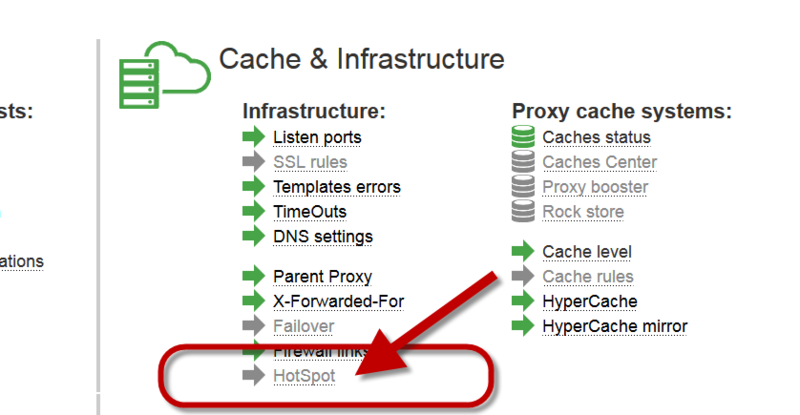 The hotSpot system is designed to ban all network connections until users have not been registered on the system. 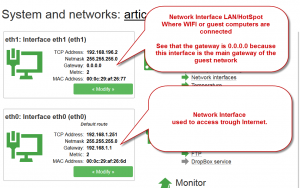 To achieve this approach, a physical break is generated between two network cards. 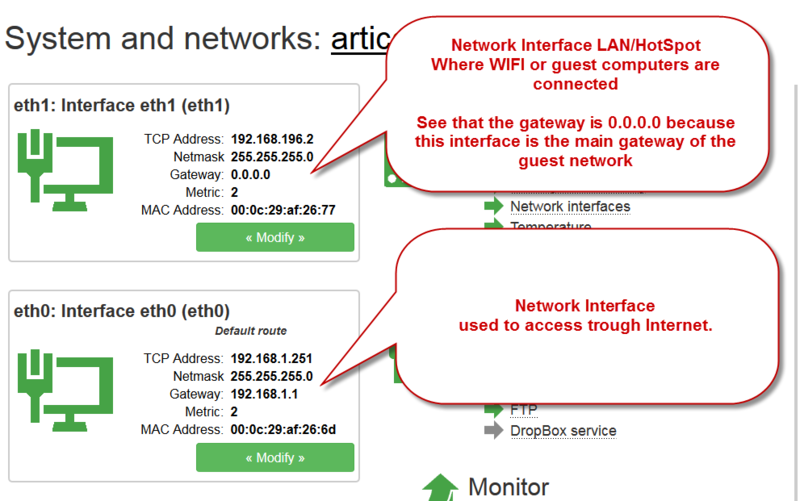 You must have a different subnet between the WAN network and the LAN network. D) Activate the HotSpot system. 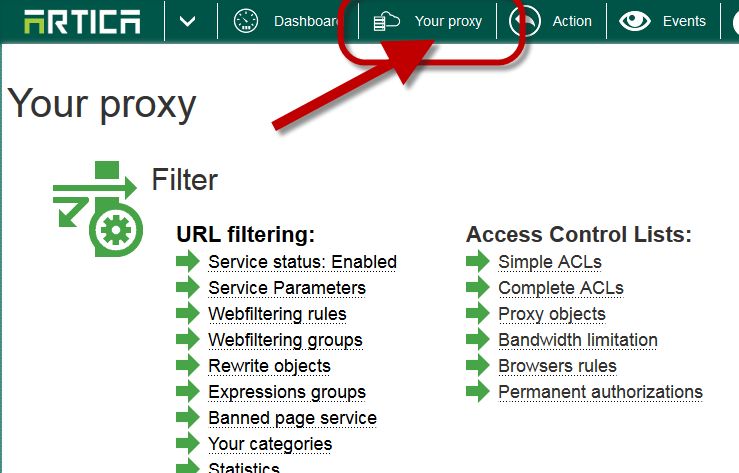 Click on The HotSpot grey link. 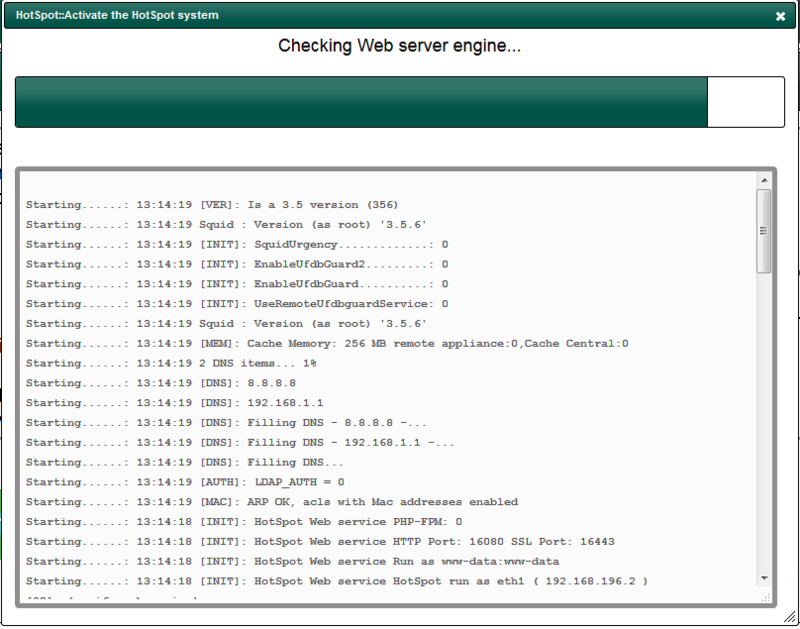 The last screen needs you to confirm, click on Run the HotSpot System button. Wait during the configuration process. You should see 2 services UP and running. 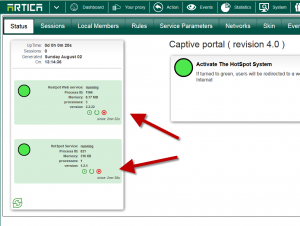 Your HotSpot system is now ready!